Thursday, 28 March 2019, 11 a.m. – 12:30 p.m. The President of the General Assembly will convene a high-level meeting on the issue of the protection of the global climate for present and future generations, in the context of the economic, social and environmental dimensions of the 2030 Agenda for Sustainable Development. The event will take an intergenerational approach in highlighting synergies between climate and broader sustainable development goals, both in terms of threats to current and future generations and opportunities arising from climate action. 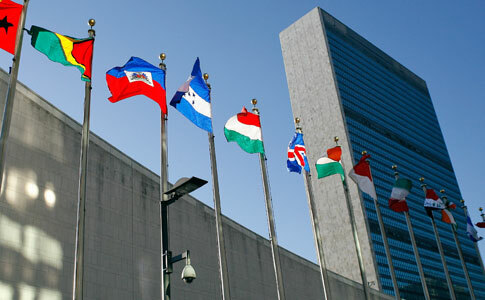 It will focus on means of implementation to build on the outcome of the United Nations Climate Conference in Katowice (COP24), and raise ambition in commitments in preparation for the review of SDG13: Climate Action at the High-Level Political Forum in July 2019, as well as the HLPF Summit and the United Nations Climate Summit in September 2019. Wednesday, 3 April 2019, 1:15 – 2:30 p.m. Guests with valid UN grounds passes can go directly to the ECOSOC Chamber. Open to 18-30-year-old innovators across the globe, the initiative seeks young people with bold ideas for our planet. Over 100 civil society representatives attended the Buenos Aires Plan of Action Conference (BAPA+40) that took place in Buenos Aires, Argentina, from 20 to 22 March 2019. The Special Envoy of South-South Cooperation noted the need for a greater inclusion of civil society and other partners moving forward.